The world is entangled with many problems including ethnic conflicts, cross-boundary disputes, economic turmoil, a growing climate crisis, and above all, insufficient and ineffective global governance. The clock is ticking. Yet there is no consensus among nations, especially the major powers, about what the world should be like and how they should collaborate to reach that goal. Between Brexit, “America First,” and the “Belt and Road,” different parties seem to be heading in different directions. Given the historical and social diversities among nations, China’s “Belt and Road” roadmap, of course, does not necessarily represent a holistic blueprint for the whole world and it indeed does not intend to do so, but it is at least a more open and more inclusive solution. Italy, a member of the G-7 group that has officially joined China’s “Belt and Road Initiative,” has just proved this. In fact, picturing China as a dire threat to the United States like the former Soviet Union during the Cold War is not a new concept; the China Threat theory dates back to the early 1990s. Later, China’s moves in the South China Sea were also described as “aggressive” and even “fascist.” More recently, some even claim that China’s Belt and Road Initiative will trap small states in their various debts to China, economically and politically. Unfortunately, there are people in the West and the United States who still have a bad memory of the former Soviet Union, which used to be the only country capable of “wiping out” the United States many times over. The fear of the former Soviet Union may linger, in one way or another, but what does it have to do with today’s China? The Cold War nightmare (if any) still haunting America has little to do with China, much less with the Chinese people who are realizing the grand transition of their nation from a poor and backward land to a prosperous middle-income country, and further. What is wrong about that ambition? To equate China with the former Soviet Union is absolutely untenable. There are at least five areas where China is distinct from the Soviet Union. 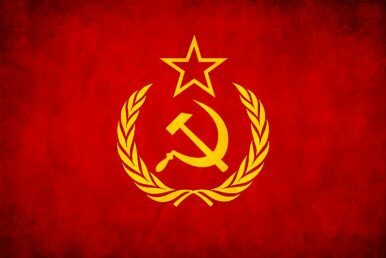 Second, the Soviet Union openly and directly regarded the United States as its enemy, which it could hardly co-exist with. But China seeks to construct a “new model of major country relationship” with the United States. China believes and constantly suggests to the United States that “seeking common ground while reserving differences” is possible. China’s self-portrait and its portrait of the United States are different from those of the former Soviet Union; political perception and self-perception really matter. Third, in the heyday of the Cold War, the Soviet Union and the United States were hardly interdependent with each other, either economically or politically. Although there are divergences and disputes, China and the United States are the two largest economies in the world and share a wide range of interests especially in the economic sphere. Terms and buzzwords like a “G-2” or even “CHINAMERICA” both were popular in the media; this would be utterly absurd if China truly stood as the new Soviet Union to the United States. Fourth, in the face of internal and external problems, the Soviet Union often repelled, but China has constantly reformed. There were periods of reform, both mild and radical, during the Soviet Union era, but the chronic institutional rigidity persisted and inevitably shook the foundations of the Soviet regime both economically and ideologically. By contrast, the Chinese believe that “reform and opening up” includes many social, economic, and political aspects, and it is an ongoing process, rather than a mission that has been accomplished. Last but not least, the Soviet Union has failed, but China’s peaceful development, which is still going on, has been a great success. More importantly, China’s success and the peaceful environment it has always needed are built on its reform and opening up to the world including the United States, rather than an endless militaristic and belligerent indulgence in great power competition. This is probably one of the major lessons the Chinese learned from the fall of the Soviet Union. How Mao Zedong Benefited From the Cuban Missile CrisisYes, the US Does Want to Contain China (Sort Of)Why China Misses the Unipolar MomentAlthough Unhappy With US Sanctions on Iran, China Won’t Fall Out With WashingtonWill Xi Jinping Visit North Korea This Year?